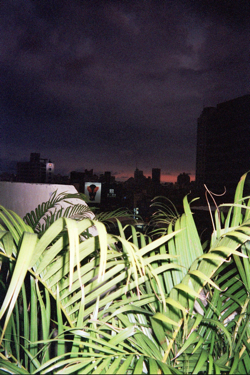 After living in Taichung, Taiwan I moved to Tainan in 2006. Tainan is in the southwest corner of the island. It's near the ocean and it's about an hour or less from Koahsiung city. It's the fourth largest and it's the oldest city in Taiwan. Tainan is easier going than Taichung and a bit more culturally rich. There are a lot of temples in Tainan. One of the most famous ones is the Confucius temple in the photograph above. 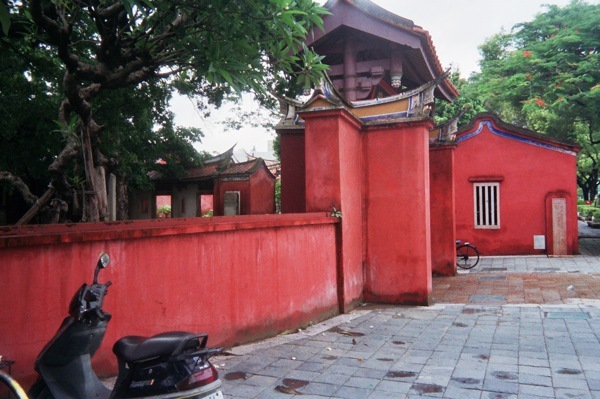 You'll also find different sorts of architecture in Tainan from the Japanese and Dutch occupation. National Cheng Kung University is a popular university in Tainan. It's near the ocean (Taiwan Strait), but it doesn't compare to the beautiful east coast of Taiwan. The ocean near Tainan is kinda nice, yet the water is not very clear - it's more of greyish brown color, there is little surf and the beaches near the city can get pretty polluted with trash and bottle rockets. The drive from downtown Tainan out to the ocean is pretty nice as you get to drive through Anping and by the river (as seen in the photograph). I would take trips out to either Jiading or near the Tainan City and Chiayi County border. Jiading is south of Tainan and there you will find some small beaches. Don't expect much, but they are pretty nice, small and fairly quiet. I used to swim there occasionally. For really nice beaches head to either the east coast or Kenting. As far as transportation goes you could try out the bus system, but that's not going to be very convenient for most. A scooter works pretty well and I used to get to work from Tainan to Alian (about 40 min.) in Koahsiung county everyday. I also had a bike, but it's not a very bike friendly place. 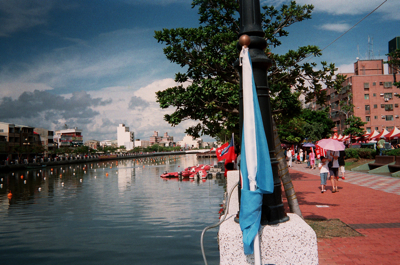 I lived pretty close to Tainan park in downtown Tainan. The cost of living there was pretty cheap and I only paid $NT3000 (nearly $100) a month for a small room in a shared apartment.